We are one of the accredited manufacturers and suppliers of a premium range of Belt Weigher. It is used to gauge the flow rate of material travelling over a conveyor belt capable enough to adequately contain the material being weighed. High quality material is used to manufacture the offered range following industry set guidelines. 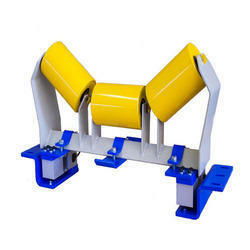 Looking for Belt Weigher ?